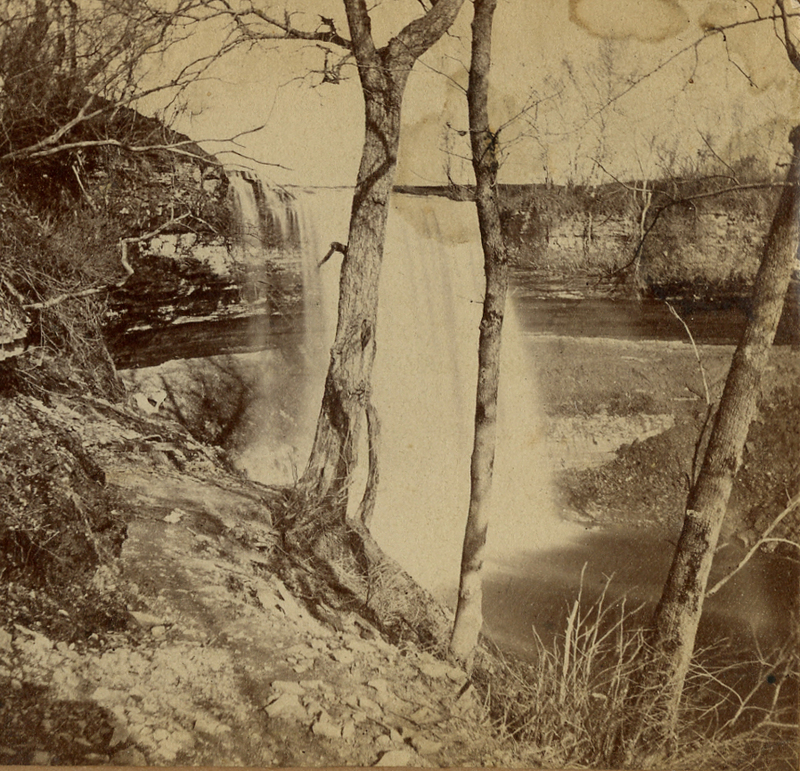 In taking the first images of Minnehaha Falls, Alexander Hesler and Joel E. Whitney made 25 or 30 daguerrotypes in a single session on August 15, 1852. It was an unusual beginning to the photographic record. Mostly, professional photographers took one-off tourist pictures or scenic shots of the Falls. And some of these were, in fact, reprinted endlessly. But it actually was quite rare, in those early years, for a photographer to go down to Minnehaha and take several pictures in a sequence. Here’s an exception to that. Author karenPosted on July 5, 2016 December 6, 2016 Categories Pioneer PhotographersTags 1850s, 1852, 1857, Carbutt, hesler, J. E. Whitney, middle terrace, Steele, ZimmermanLeave a comment on Joel Whitney: 1850’s?